How can maths teachers make lessons relevant to their students? How can teachers use research to impact their classroom practice? How can teachers make their classrooms a welcoming space to lead to engagement that then has a knock on effect to learning? These were the questions that were subconsciously buzzing around in my head as I planned my Year 9 maths lesson today having attended the Festival of Education on Thursday (in my LKMco associate capacity). A talk by the Behavioural Insights Team included the question, “If you can’t define the relevance for yourself, how can you justify teaching it?” I also had an interesting discussion with my lunch companion at the festival, Ben. He is an Assistant Headteacher in charge of Teaching and Learning and railed against some teaching in his own subject, MFL. He argued that often relevance was superficial and only about getting pupils to describe what they’d done in their weekends or describe how many pets they’d had. I take their point and do feel students need relevance. However, attempts to provide relevance can often be superficial and in my subject (maths) the relevance often comes later (post GCSE or A level for some abstract topics) or has to be defined as a much bigger whole, rather than on a lesson by lesson basis. 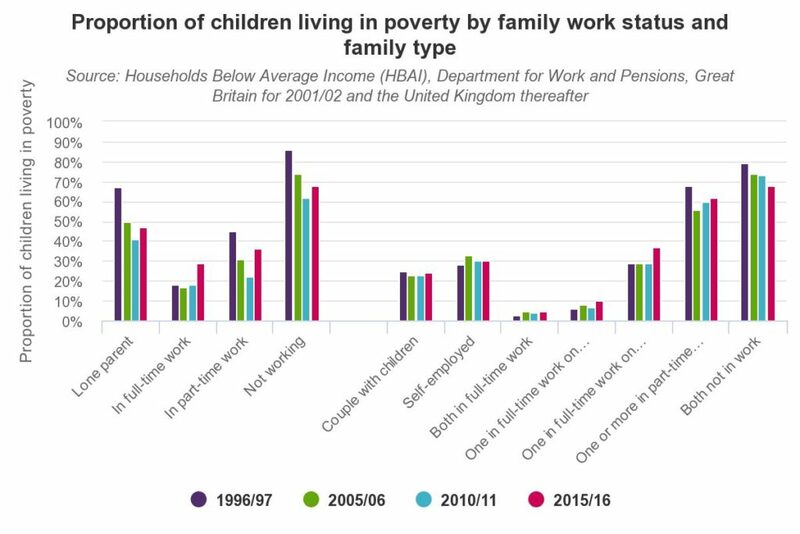 After a few simplistic answers about it being a bar chart we started discussing what it actually showed and delved into child poverty and who was most at risk. At each stage I asked the pupils why they thought their conclusions were true. Then we got talking about family breakdown (children in lone parent families are very likely to live in poverty) and a project on youth homelessness that I’m working on in my ‘other job’ (that’s how they refer to my LKMco role). They were very interested and a few students started nodding when I said that family disagreements and relationship breakdowns were the main reason for young people becoming homeless. This led to a discussion about when they wanted to leave home and why. My class were also keen to know when I’d left home. I explained that things were very different economically for young people a decade ago. We agreed probably none of them were going to buy their first house at 25 years old with a 100% mortgage like I did. In my early maths teaching days I sometimes envied English teachers or History teachers who can talk about topics that students see as directly applicable to their lives as a result of studying a text. Here my pupils realised that data is real life. 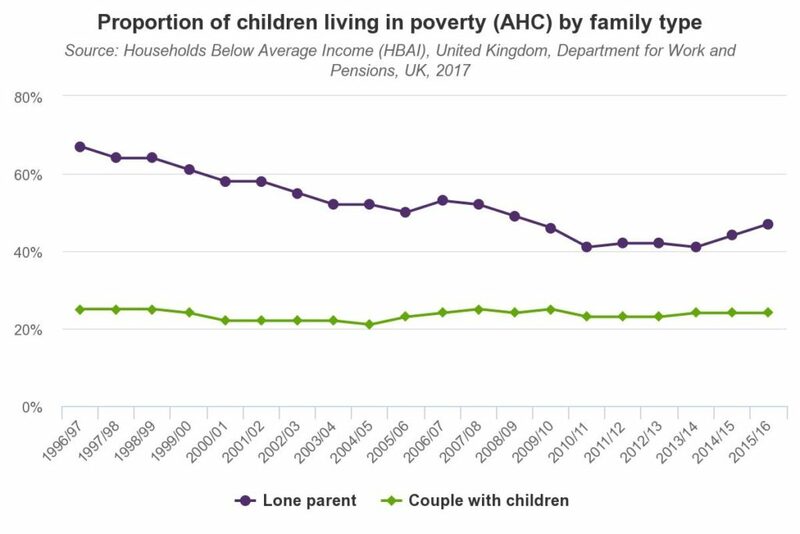 Not just ‘measure-the–span-of-your- hand’ real life but ‘if-your-parents-are-divorced-you-are-more-likely-to-be-in poverty’ real life. My class of maths bottom set 13 and 14 year olds found this graph fascinating. I asked them to describe what it was showing and we explored why. The graph above lead us to talk about the gender pay gap and the implication for lone families if mothers were more likely to earn less. Pupils were rightly outraged. I explained to students why this had helped me when I’d put my mum’s address for my university tuition fee’s evaluation rather than my Dad’s (who earned more). Whose parents have split up since I started teaching them. Who live with their grandparents because they can’t live with their parents any more. This research is relevant to their lives. In discussing it and discussing my own experience and observations they felt safe and animated. Every student questioned and interrogated the data. They also felt valued and understood as human beings that exist beyond my mathematical classroom. When we moved in, an abrupt and unseemly manner, from that topic to the entirely unrelated and fairly abstract magic squares ad algebra, they all participated enthusiastically. I’m pretty sure some (maths) teachers would hate lessons like this. That’s fine. I don’t teach like this all the time. Sometimes it’s much more traditional in approach and the main maths content for this part of the lesson had been delivered previously. I wouldn’t even argue it’s an especially efficient way to look at data handing and graph interpretation. I would say it was worthwhile though. Learning and life doesn’t always have to be efficient. Sometimes empathy, exploration and interrogation is needed. One or two lessons like this now and again help to cement understanding and build relationships in a different context which later buys a lot of time and good will for the rest of the term. It also helps students to know that maths isn’t just numbers and abstraction (which I must add I also find beautiful). Maths is life. Another way of describing the actual world that they inhabit not just artificial examples from a text book or their maths teacher’s head. 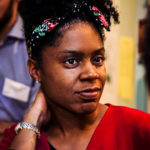 UTCs: Who’s Going and Why Should We Care?